This magnificent center entrance brick colonial w it's 2018 re-hab/remodel will impress & delight the most discerning buyer. 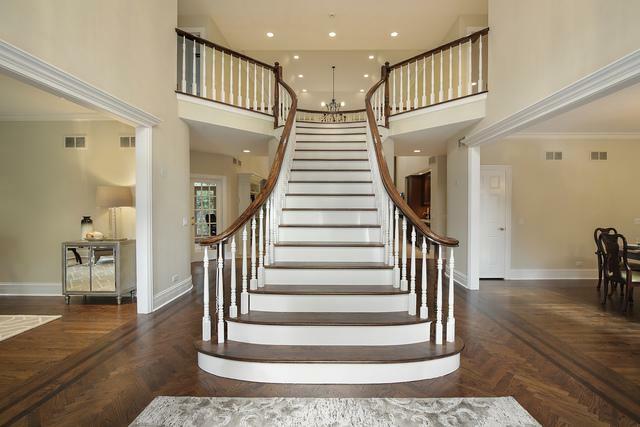 Gorgeous two story foyer entry w living & dining room on either side.Huge inviting Nu Haus kitchen w large island, separate eating area &loads of custom cabinetry overlooking the koi pond & yard. Amazing room sizes throughout, including a very large master suite w a fabulous new bathroom, two walk-in closets, a sitting rm & bonus rm.Four additional bath remodels. 5 bedrooms up and a first floor guest room w a full bathrm. Amazing lower level with a media center, rec room, 7th bedrm,storage/exercise rm, & loads of storage. Exciting "today" designs w classic selections. This home has been freshly painted, re-styled, re-modeled and meticulously cared for. Very large professionally landscaped fenced yard. An entertainers delight! 3 car attached garage. Close to town, schools, train, shops and beach. Amazing opportunity for todays market. This home is one of a kind. Sold by Jameson Sotheby's International Realty.